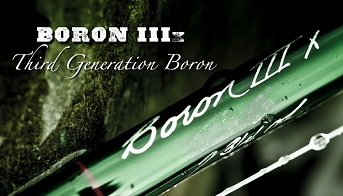 AWESOME is the word most commonly used to describe the Boron III X, a series of rods that is quite possibly the finest fly rods ever made. With the broadest casting range of any Winston series, these all-purpose rods will easily match any fishing condition. These fast-action fly rods are powerful, lively and capable of generating incredible line speed. Built with advanced Boron III technology, this series is also incredibly lightweight and allows an angler to delicately present a fly with incredible accuracy. Because of their broad range of application, the Boron III X has become the “go to” rod for professional guides and avid anglers. This series of rod is quite simply the best!